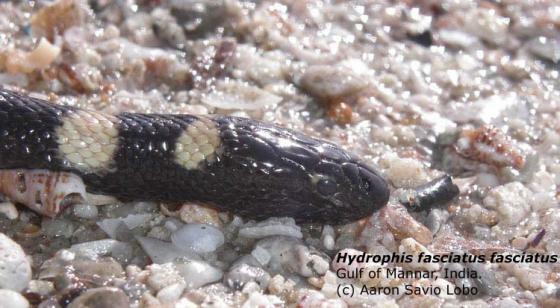 Can you confirm these amateur observations of Hydrophis fasciatus? Synonymy partly after STEJNEGER 1907. Not listed by COGGER 2000. 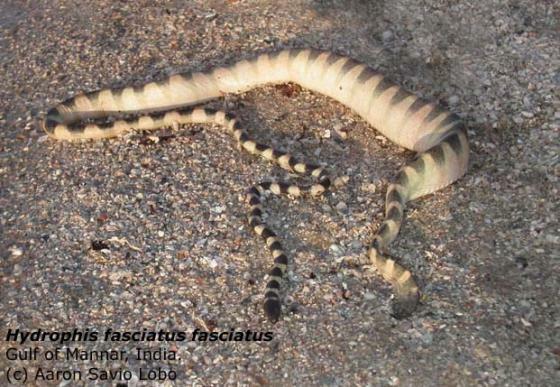 Type species: Hydrus fasciatus SCHNEIDER 1799 is the type species of the genus Hydrophis LATREILLE in SONNINI & LATREILLE 1801. Stuebing, R.B. & INGER, R.F. 1999. A field guide to the snakes of Borneo. Natural history Publications (Borneo), Kota Kinabalu, 254 pp. [corrections in HR 31: 124].